He is believed to have manipulated socially important information. A former Dnipropetrovsk governor, businessman Ihor Kolomoyskyy, is now listed in the Myrotvorets (Peacekeeper) database, an unofficial database of individuals posing a threat to Ukraine's security. It says that Kolomoyskyy was put on the list because he "violated the Ukrainian legislation on citizenship by receiving citizenship of other countries. He consciously participated in the destabilization of public and political life in Ukraine. Manipulated social important information. Arranged for the distribution of deliberately wrong information on a TV channel under his control". 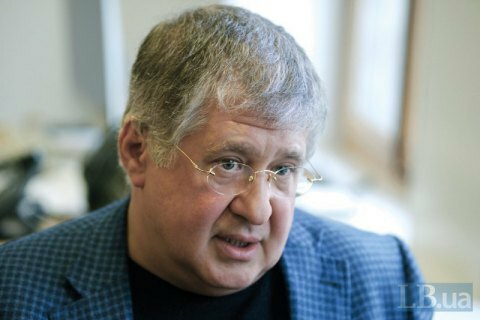 His profile mentions that he is an oligarch, a billionaire and the founder of the Privat industrial and financial group. He is also in control of Ukraine's largest media group One Plus One Media. He has held Israeli and Cypriot citizenship since 1995. Dual citizenship is not permitted in Ukraine.